The first diagram we will discuss about Wifi you breaker application in hp android that is root, this application which is connected with Cloud Server site so that tens of thousands owner millions of Wifi passwords connected on Wifi server will be easily indexed in this application by connecting Wifi You application with server cloud by simply pressing the scan button on the application. Download Application Wifi Breaker Next ..
Wifi Analyzer application which is a full-featured application that has full features so you can see the traffic on a Wifi network that is your target, there you will get various information you need in the form of network data packets, data ssid / bssid or other things very helpful. How are you interested in this app? Download Application Wifi Breaker Next .. The Penetration testing feature in the Wifi Network Spoofer breaker application lets you infiltrate other Wifi android users, a view that is very easy to read for anyone even if you do not understand it, with a one-touch touch of your action will succeed. Download Application Wifi Breaker Next ..
Wifi Hacking application then there is Fing Network Tools, an application that can analyze network traffic and send data packets so that you get important information on Wifi users. You can see any fellow Wifi users you have entered whether the user is a computer orroid android. More Wifi Detector Application ..
Wifi hacking application hereinafter in hp android root is Wifi Inspect this Wifi hacker application has full access rights when you enter the Wifi network like a Wifi administrator, the same Wifi users you can know all the information in the form of Ip address, Mac Address, Speed network access and Wifi user type. You can disconnect Wifi network with your permission, and you are also entitled to anyone who can connect with Wifi that you susupi. More Wifi Detector Application ..
Once you have obtained the password by using the Wifi Kill app on your Android Hp that is already root, immediately connect to the Wifi and block the users of internet access to the same Wifi user as you are interested to download it. More Wifi Detector Application ..
For rooted android apps you can use WPA WPA WPA Tester application to hack Wifi router device to get password code that you can get easily on this application, WPA WPS WPA Tester application offer best fitu to you to help hack your target and download immediately. More Wifi Detector Application ..
WPS Connet is a Wifi breaker application for rooted android apps, when you open this application then you scans automatically the application detects the presence of Wifi around you ability of this application is able to decode the password on a jurnal Wifi or Hotspot and more amazing again if you are connected to this application you can hack android hp owned by other people by turning off the victim Wifi connection, how does my friend want this cool Wifi hacking application. Use the best wifi hacking app to get your tergetmu password, use the app to try the success because as a note if on one of the wifi breaker application you are using do not succeed try with other application. Thank you for reading our article How to Hack Wifi on Android Hp With Root Proven 100% Work may be useful for you and share it for your friends. How to Remove Android Default Applications With NoBloat - In Hp Android there are some applications that are not used by you, because you prefer to use other applications more simple although the usefulness of the application have in common, my friend Doktorponsel.site this time we will share the tricks to you to remove the default applications that are not used by you, unused applications only make your memory full storage so that your hp android experience slow and also slow, applications that you do not use will be very disturbing you in the usability activities on your android phone and also effects bad that is caused to drain the battery power android hp. How to remove the default application or commonly called bloatware in android hp in general it can not be deleted without root, but there is an easier way to overcome this case that is by using additional applications that is by using the application NoBloat itself has 2 versions you can use both paid and free, for paid NoBloat apps priced at # 1.99 (USD) which have additional features batch operators and can create a list of system applications you want to delete, but in terms of usability to remove the default application you only need to use the application NoBloat version free. For that let's see how to remove the default application in hp android using NoBloat application. First download NoBloat application on the link we have provided, then you can install the application. After you finish installing the application, now you only need to open NoBloat application via your android phone. Then the app will ask for superuser root access on your android phone, which appears when you open the application. After you grant superuser access wait a while for NoBloat application to read all the list of applications found on your android phone, choose the default application which you do not need or not use. Since we are using the free version of NoBloat application so you can only do deletion of the default application at a time, so to be able to delete it again you do the next. After selecting the default application now you can press Delete, if at any time you want the application is opened you can backup first with Backup and Delete, if you do not need to cool backup you can press Delete Without Backup if finished Press Ok. And close the app. 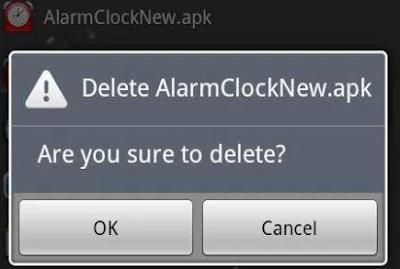 Your default app is now deleted. Can create black list (black list) on android application system to be deleted. Batch is an operation to back up or delete all lists on the blacklist. You can enable disabled apps using Batch Operation. You can restore already backed up apps using Batch Operation. You can export the settings that have been made to the NoBloat application and Blacklist list which is then stored on external memory into the internal memory. Faster searching of built-in apps and other apps. You can change the backup folder. 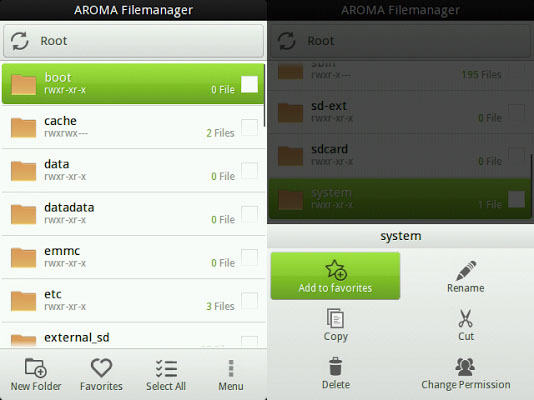 Deleting the default android app using the NoBloat app when you select the Backup and Delete process performed by the NoBloat application is to backup first before performing the delete action the application will delete, so that at any time you can restore the application you have deleted by way of restoring the application are as follows. Open NoBloat Applications >> Backup Apps >> Restore. Similarly Information on How to Remove Android Default Applications With NoBloat we have to convey, may be useful. 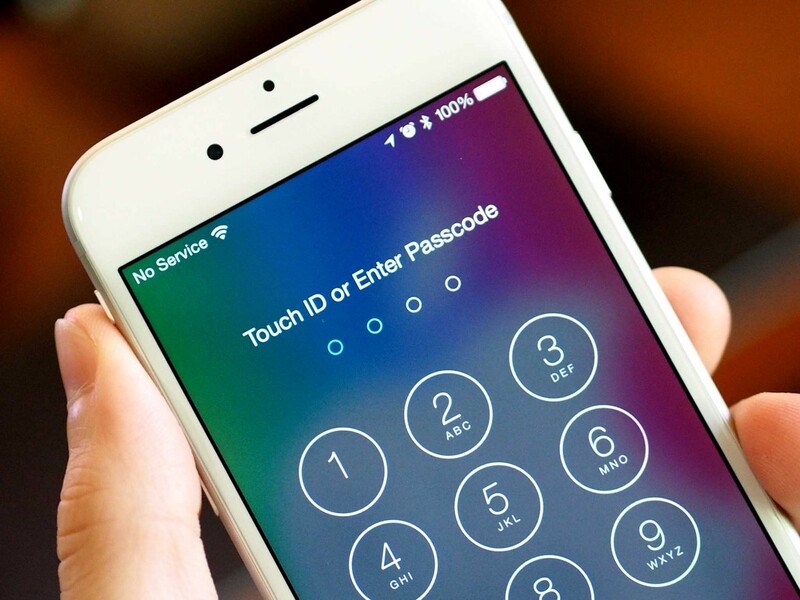 Have you ever forgotten the passcode of your iPhone, iPad or iPod? Surely we will panic because it thinks our iPhone can not be used anymore, especially with the system from the IOS itself if one enter the code six times in succession will cause iDevice locked and iPhone message appears disabled, would add more upset is not it? But just relax do not need to be worried and upset if you have trouble forgot your iPhone password. your iPhone can still be used only the risks that must be accepted is you will lose all your data on the iPhone, because the iPhone will be deleted all the data and settings in it. Of course it does not matter if you regularly backup your data with iTunes iCloud, you can still restore your data back later. The problem if the iPhone has not been backed up at all. If you already like this must be willing data important data and even memories photos together with the former will be erased. Just take the positive side, you can immediately move on and fill the iPhone with new memories is not it? Make sure you follow the steps below correctly. iPhone anda akan kembali baru. If you enable icloud on your iPhone, it will be a little easier. All it takes is a browser connected to the internet. So you can delete iPhone with iCloud using computer or even other Mobile. From Browsers connected to the internet. Keep in mind that the previous iPhone data will be lost, iPhone Storage will return empty as the initial factory settings. 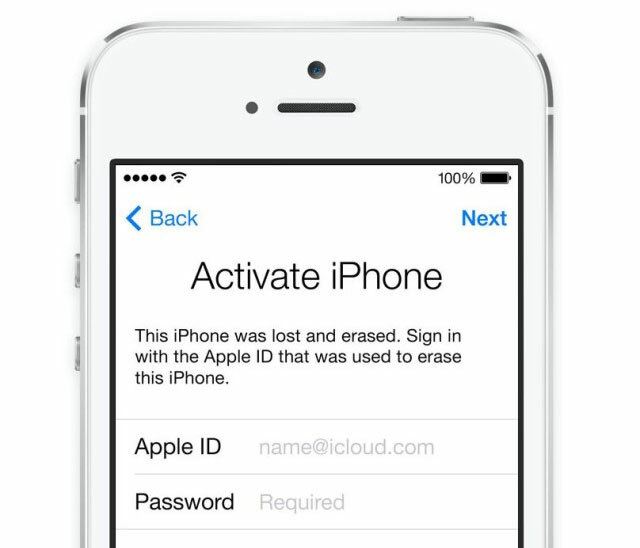 The following method is the last option if you want to delete the iPhone for forgetting the passcode. iPhone 6s and older versions, iPad and iPod touch press and hold the power button with the home button, do not release until the Apple logo appears, hold both until the recovery mode screen appears. iPhone 7 because it does not have a physical home button that can be pressed the way is press and hold the power button with the volume down button, do not be released until the Apple logo appears, still hold both until the recovery mode screen appears. So I suggest you always sync your iPhone every chance. iCloud is also important to activate because in addition to security with Find my iPhone feature it is also useful if you have trouble forgetting iPhone password. It's important to keep your passcode, or you can use a simpler passcode using only 4 digit numeric combinations instead of using the default 6 digit number. Of course with a 4 digit code is easier to remember it is not it? How to Unlock and Open iCloud iPhone Locked - As we know it is to open iCloud is very difficult, then of many services specific to unlock iCloud. But make no mistake, because not a bit of fake iCloud unlock services are scattered everywhere. Well this time the team Allenstanford.com diulasan want to share information about how to open the locked iCloud, how to unlock iphone 4s icloud, how to open the lock icloud iphone 6, iphone how to unlock icloud stolen, how to unlock iphone 5 icloud free icloud way through IMEI unlock, icloud via IMEI how open, how to open icloud who forgot the password, how to bypass icloud iphone 4s, iphone fix lock icloud, activate iphone locked manner and how to cope with icloud icloud locked. When you or other people also repeatedly wrong to enter a password, a security question, or other account information, then the Apple ID will be automatically locked for security to protect your Apple ID and you can not get on the Apple service. You can open your Apple ID after you verify your identity. Well to unlock iCloud, please and see the information below. 1. The first step please activate your data connection on your iPhone device, make sure the connection is stable. 2. After that please open your address https://iforgot.apple.com/ using laptop or computer. 3. Next you login by entering iCloud email or Apple ID in use. -Security questions or reset process by answering some secret questions. 4. Choose what you think is easier, we suggest you can use the first method if your email is active. 5. If the email is not active, you can choose the second way, so you just answer the questions on the screen and write the place and also the date of birth with complete and exact. 1. Connect your iOS device to your computer and open iTunes. -For iPhone 6s as well as old school, iPad, or iPod touch: Please press and hold the on / off key + Main button simultaneously. -For iPhone 7 and iPhone 7 Plus: Please press and hold the on / off button simultaneously. 3. When you see the Restore or Update option, please select Restore. 4. Wait until the process is complete. That way you can manage and use your device. 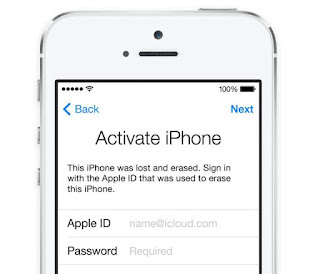 This is the information we can share this time about How to Unlock and Open iCloud iPhone Locked. May be useful.